Occasionally foods with a high content of tyramine, such as cheese, coffee, red wine and yeast extract, are responsible for migrainous headaches.19 In some patients the association is obvious and these patients usually avoid these foods. In other cases of chronic headache, once other treatable causes have been excluded, a diet excluding foods with high tyramine content may be tried. 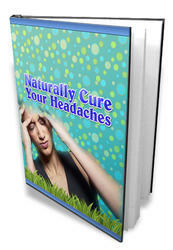 However, double-blind challenges are often unsuccessful in confirming a relationship of foods with headaches.